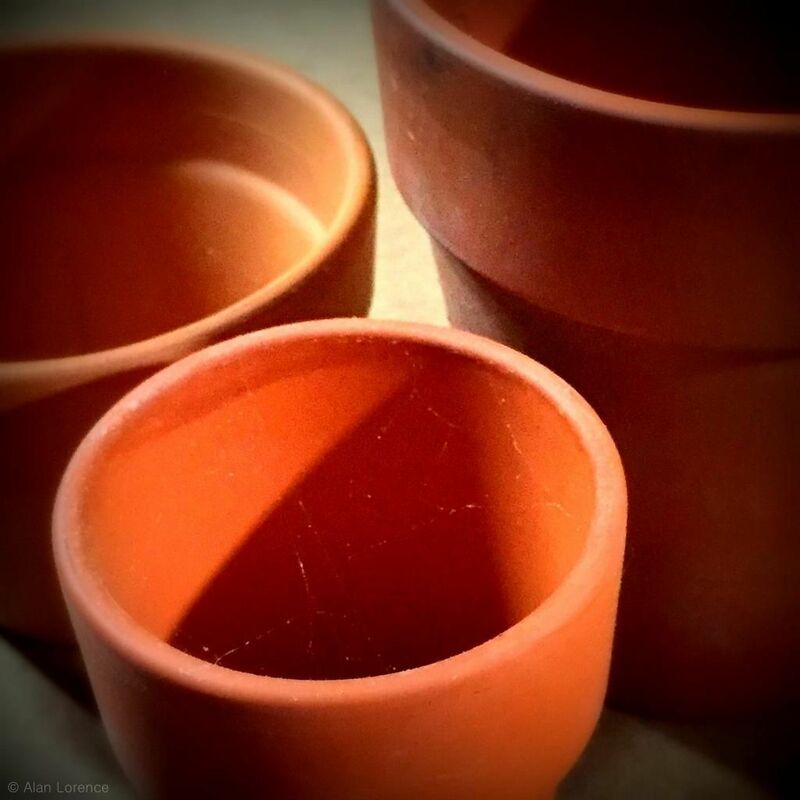 This summer I traded some muscle power for clay pots -- terracotta of many different sizes. There are two or three dozen of them, in different shapes and sizes. Nothing fancy, but to me there is no plant pot more perfect than a small one made of terracotta so I'll almost never pass up the chance to own more. ...reminding me that I have cactus seeds to sow, cuttings to root, and so many succulent "pups" that I want to pot up -- all winter tasks to keep me "gardening" until spring. For more vignettes visit Anna at Flutter and Hum for her Wednesday Vignette meme. Beautiful pots! 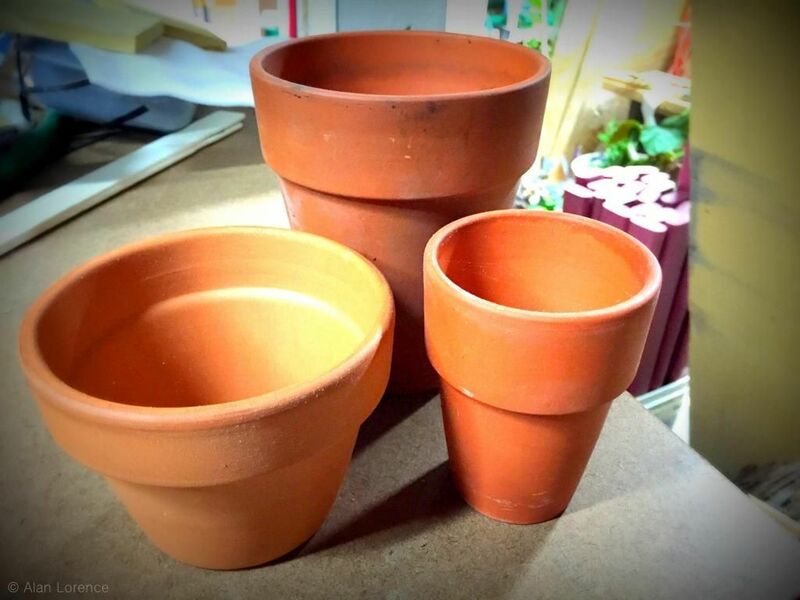 A great thing about terracotta pots is that they look great even without plants in them. The same cant be said for black plastic. A bit of gardening is what gets me through the winter. 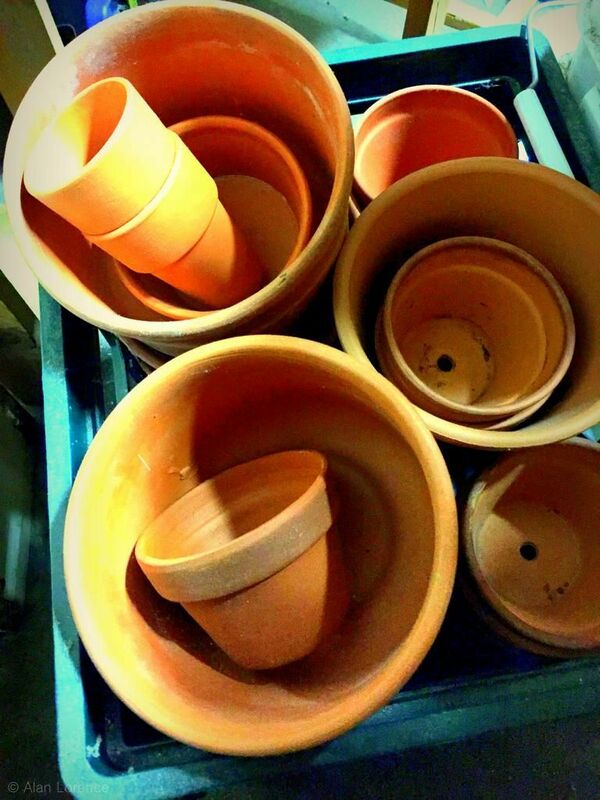 A few pots that are now empty should help make your winter a pleasure.